The Trade Center was established in 1979, by Dr. William R. Bennett, Emeritus Professor of Marketing and International Business at The University of Alabama’s Culverhouse College of Commerce and Business Administration. In his honor upon retirement, the Center was designated as the William R. Bennett Alabama International Trade Center. Today the Trade Center employs five full time professionals, four consultants, and fifteen student assistants. It operates as a federal-state partnership program between the University of Alabama and the U.S. Small Business Administration, promoting SBA’s export financing programs in Alabama. The Trade Center is an institutional member of the Alabama Small Business Development Center Network (ASBDC), a statewide network of 10 management and technical assistance centers. The Center is also a founding member of the Export Alabama Trade Alliance, a statewide export promotion network led by the International Trade Division of the Alabama Department of Commerce. AITC is recognized as an Associate Office of the U.S. Department of Commerce. The Alabama International Trade Center has received the US Department of Commerce’s Export Achievement Award and is recognized by the SBA as a State Model of Excellence in International Trade. 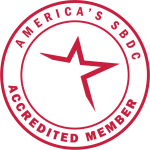 The America’s SBDC Network began operating in 1980 and the Alabama SBDCs make up 10 of the nearly 1000 SBDC service centers nationwide. SBDCs are located in all 50 states, the District of Columbia, Puerto Rico, the U.S. Virgin Islands, Guam and American Samoa. The mission of the Alabama SBDC Network is to enhance economic growth by making Alabama small businesses more competitive through the provision of entrepreneurial assistance. Born July 2, 1918 in Ev-ergreen, Alabama, Bennett was educated in the public schools of South Alabama where his parents were educators. He graduated from Summerdale Consolidated School in 1935 and received his B.A. degree from Bir-mingham Southern College in 1939. He joined the U.S. Army in January, 1942 and served in North Africa, Italy and the Pacific. After his honorable discharge from the Army in 1945, he received an MBA from Louisiana State University in 1947 and a PhD. from the University of Illinois in 1950. He joined the Uni-versity of Alabama in 1950 and retired in 1983 as Professor of Marketing and Director of the International Trade Center. At his retirement of the Trade Center was renamed the W.R. Bennett International Trade Center. During his tenure at the university he served as Director of the Graduate Division of the business School, Associate Dean of the Business School, Professor of Marketing and Director of the International Trade Center. Various honors that he received during his career in-cluded an Honorary Doctorate of Humane Letters from the University of Alabama, 1990; the Algernon Sidney Sullivan Award, 1989, Alabama World Trade Association Man of the Year 1980, Honorary Harbormaster of the Port of Mobile 1983 and Charter Member of the North Alabama International Trade Associa-tion. Honorary memberships included Beta Gamma Sigma, Omicron Delta Kappa, Phi Beta Delta, and Pi Tau Chi. He was a member of the Deny Society. He had been an active member of the First United Methodist Church serving there in many leadership roles. Dr. Bennett passed in May 2005.